In the last few years, the Mark Zuckerbergs of the tech world have turned the college education systems on its head. Eschewing college in favor of the path less taken — primarily, one composed of self-teaching — has become a legitimate option for talented developers. This, combined with our rising national debt and the attitude that “everyone should code!” has led to the evolution of Web-facing, easy-to-use online education systems with beautiful interfaces and game mechanics. 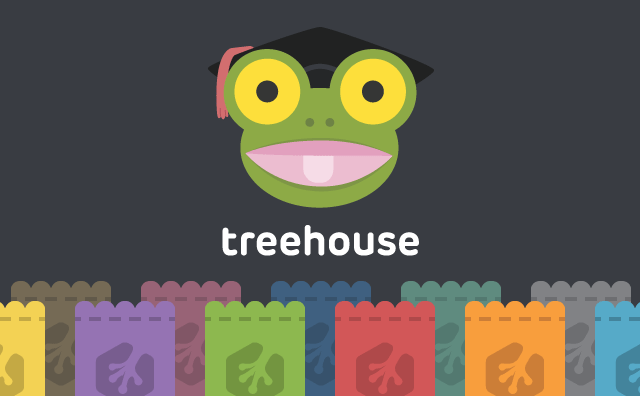 Chances are, you’re thinking of Codecademy, but the two year old Treehouse has also made a name for itself in this space. The platform (which recently raised $4.75 million that I’m told is going to building out the curriculum from beginner to advanced as well as some professional video upgrades) wants to give users that tools they need to develop for the Web, iOS, and Android using project-oriented learning. This week, Treehouse announced it will donate $3 million toward helping college kids use its application to further their education. Founder and CEO of Treehouse Ryan Carson tells me that each scholarship is worth $1,176 and translates to a two year Treehouse membership where recipients will learn to mobile and Web coding as well as Web design and even startup launching skills. Of course, all the development skills in the world only mean something if they can land you a job; the current state of hiring in this market is extremely competitive — and that’s putting it lightly. But Carson says that getting students through this program and into actual employment is the plan, and that it’s within reach. It’s an admirable and exciting proposition — especially to the college-aged among us who see this huge and robust industry but aren’t yet sure how to find their footing in it. There has been plenty of discussion and argument about the effectiveness of a traditional college education for technology focuses, and this particular route is in the process of being disrupted; according to Carson, for good reason. He says that Treehouse currently does not have an apprenticeship program within its own hiring structure, but that the team would like to introduce this soon. For all of the positives of programs like Treehouse, Codecademy, Khan Academy, and the rest of these learning alternatives, they’ve also been accused to undermining educators and in some cases offering second-rate courses. The criticisms aren’t without merit, but neither is the argument that our higher education systems needs to be evolved, especially for the technology sector. Students are getting left behind while accruing serious debt — and often without amassing a portfolio that leads to hiring. It’s a cruel cycle, and that’s exactly why there’s been such an influx of learning alternative startups recently, Treehouse included. If you’re interested in this supplementary coding education, all you need is to be a U.S. college student with a valid .edu email address. You can fill out this form to get started.